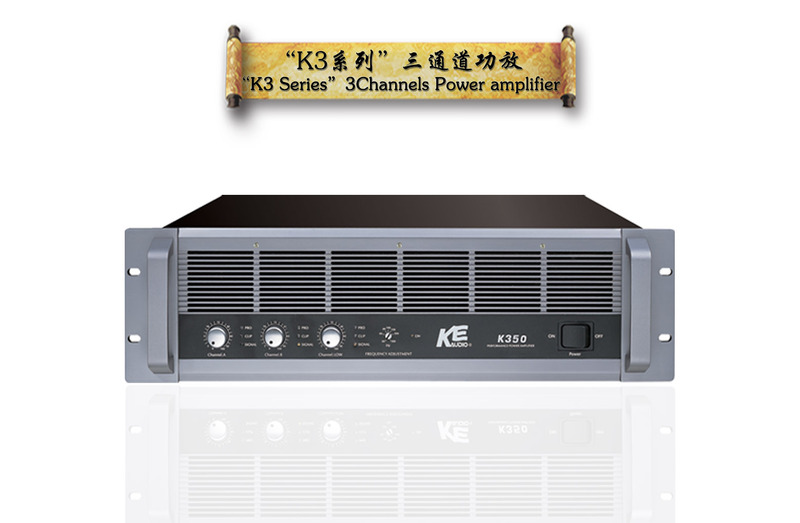 “K3 ”Series 3Channels Power amplifier -Intelligent power amplifier system, professional audio power amplifier, power amplifier power amplifier performance, high-end-Guangzhou Keyu sound equipment Co., Ltd.
A, B channel are whole frequency, sweet voice, loud and clear. Low channel built-in electron frequency divider, when pull out the functional key of the black board and select Low?50Hz-300Hz? : A and B signal synthetize automatically, and Low channel outputs by low frequency via built-in electron frequency divider. When select 3CH: Low channel needs to outlay input signal, which is whole frequent output. The power is powerful, and the driver is low frequency, solid and clear. 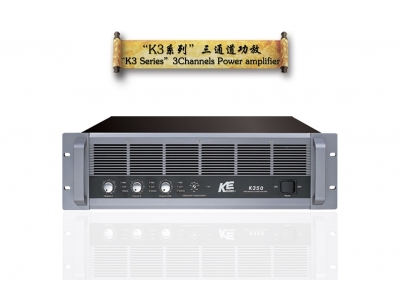 K3 series power amplifier is applied in K room and Hi room and multifunctional hall.